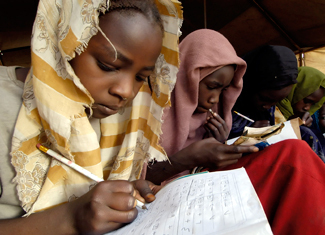 No matter where they are in the world, children have big dreams. However, many children in developing nations never have the chance to go to school because families can’t afford to pay for school fees and supplies, schools are not available and teachers are not trained, or children must work long hours to help support their families. 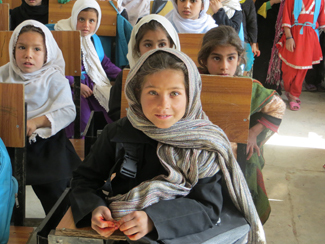 Working with partners in Afghanistan, Guatemala, India and Malawi, PWS&D is helping vulnerable children and marginalized adults access the education they need to have new opportunities for the future. Depending on the needs of the specific community, PWS&D education programs provide children and youth with classroom facilities, tutoring, textbooks, supplies, uniforms and scholarships to attend school. Under the loving care of teachers, students receive the help they need to excel in their studies. Marginalized youth, without employable skills, attend community college to complete degrees and certificates in areas such as nursing and auto mechanics. Partners work closely with industry to understand emerging and growing business sectors, ensuring that students are receiving training in fields where employment opportunities exist. Resources are provided to ensure schools are appropriately equipped and that teachers are trained in order to keep the school operating over the long-term. Close collaboration with Ministries of Education help to make the changes permanent. Young Jennifer in Guatemala says she wants to be a nurse when she grows up. Her classmate Ricardo wants to be a fireman and Sara wants to study business. Bushra in Afghanistan wants to become a doctor. Benson in Malawi, once an orphan, is now in medical school on his way to realizing his dream of becoming a doctor. Thanks to your faithful and generous support, children around the world are breaking free from poverty by accessing education, overcoming challenging circumstances and achieving their dreams. Make a donation today! PWS&D has information sheets available to learn more about our education programs.